Wellington 3 ‹ Series 10 Reversions ‹ Flog It! Antiques programme. Paul Martin is joined by experts Elizabeth Talbot and Philip Serrell at historic Wellington College in Berkshire. Browse content similar to Wellington 3. Check below for episodes and series from the same categories and more! Welcome to Wellington College, built 150 years ago as a tribute to the Duke of Wellington. 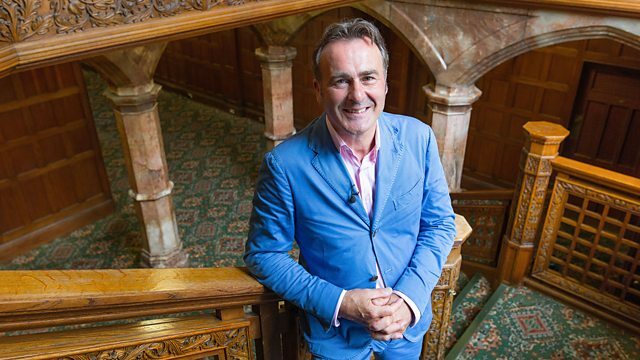 It's now one of our most prestigious public schools, so let's hope we find some quality items on Flog It! TV presenter Peter Snow and the late racing driver, Formula One hero James Hunt. and can tell us what it's like to be a pupil here. They're pretty crazy places. By and large, I think I enjoyed school, looking back. who have come to have their antiques valued. It's incredible what you can find in a queue at a Flog It valuation day. Let's hope there's many more treasures in these bags and boxes. We've got a wonderful turnout. We won't let the weather dampen our spirits. We'll have a great day. Somebody is going to go home with a lot of money. It might be this lady with your teddy. -We don't need the sunshades today. At that point, it would be nice if someone could disagree with me. You've come to ask our experts that all-important question, which is...? -If you're happy with the answer, what will you do? It's time to get the show on the road. Come on, everybody! 'and we like nothing better than a crowd armed with bags and boxes full of treasures. but I just think that is really beautiful. 'of two visits to the auction coming up on today's show. 'But first we've got to find the treasures to take to the saleroom. a price on Penny's Dinky toy. -Penny, how are you, my love? -Bit old for this sort of thing, aren't you? How'd you come by this, my love? and not get enough for it. -there's sort of like a sad story behind it. You know, let's just look at the nuts and bolts of this first. It's a Dinky toy and if you look just there, it's model number 955. And it's nice that you've got the original box with it. I think that's either a Bedford or a Commer. perhaps give or take three or four years either way. and there up it comes. Let's just turn it over and have a look. -So, Meccano owned Dinky toys. There isn't a scratch or a mark on it. Which is great from a collector's point of view. But I always think, you know, it's such a sad story, isn't it? -they put it in the cupboard and it never came out again. -I think that this toy is worth £60-£90 like that. -Take that away, and I think it's worth less. -..to match up to your toy. But I just think that's such a lovely thing. You must get lots of toys brought into your shops. but not often this old and not often in this good condition. Has anybody ever brought anything really, really valuable? -which was sold at auction. let's hope it amuses the bidders when it comes up for sale. Elizabeth is getting under way. My goodness, Julia, what a collection! -There must be a story behind these. were either my mum's or my nan's. I really liked them, so my mum said I could have it. Then my nan bought me them for my birthday and Christmas. Do you have a favourite amongst them? I like Hunca Munca just because I like the story. I've got all the books as well. I like the story of Hunca Munca in the dolls' house and the ham. -You're a Beatrix Potter fan? but in 1933, the factory of Beswick was established in Longton. By 1948, they had started to produce these little figures illustrating famous characters by Beatrix Potter. By 1950, two years after starting the manufacture, they had become an instant collectable hit. I don't think they've ever not been collectable or sought after or very, very popular. In 1989, the factory then became under the Royal Albert name. Yes. There's some from each. They're timeless, ageless. They interest lots of generations. The most expensive figure ever to be sold at auction was called Duchess. -I think she individually made £2,000 at auction. -I can't promise you that sort of figure. -Do you have any idea as to what sort of value they have? Realistically at auction, one should look at an average of £10 each. to £200, are you happy with that? If we place a reserve on it of £150, they've got the safety net. it's a painting belonging to Jim and Diana. So that's a "no" really, isn't it? And, Jim, what about you? No, I'm not a picture person. We've got two "uh-uh" here, haven't we? Diana, this has come through your family? and then he left it to us. but I've never been that keen. I love it. I really do love it. and she was born in 1918, I think it was, and died in 1975.
same time that she learnt to walk. -Yeah. She really was something special. and that really is a wet, grey day. -I can just see this is St Brides Bay here. but, for me, the real joy of this is that it's totally original. It's signed down here "Peggy Somerville" just under this mount. You don't know who Peggy Somerville is. -We have looked her up on the internet. -That's so unfair of you! I'm supposed to be telling you all this stuff! -You know nothing about her. Good. in terms of your estimate. or 99p for younger viewers. and I think you should estimate this at £500 to £800. OK? I think you should put a reserve on it of £500. a ray of sunshine is coming out of here. 'and to a piece I know is over 120 years old. and I immediately thought it was a charming piece of Royal Doulton. I've had it since a teenager. At school, I used to go to visit the old people for social education. -I've had it since 1985. -So she appreciated your visits so much? -Yes, she was a very dear friend. -But you're considering parting with it now? It's just sat on the shelf not doing anything. Nobody's looking at it. -Colman's Mustard sprang out as a name that I know very well because it's produced in Norwich. -anything to do with Colman's Mustard as an area of collectability is very popular. which is all the better for being small. -You see some very large, decorative items. Which sort of sets it to its year. -124, we'd worked out was about the date? So it's wearing extremely well. and the crispness of that is just lovely. but also the Art Nouveau influence of the foliage, et cetera. It would originally have been made as a little advertising piece. It may well have been in a restaurant or a shop where Colman's Mustard was selling. -I'm not selling it back to you? -I'm thinking about it. It's very nice. that it's going to be worth a fortune for you. -Does that sit comfortably with you? Would you like a reserve on it? -So if we put £30 on it as a safety net? Thank you for bringing it in. It's a lovely item. -We'll take it to the auction and see how we do. and I've come to Hungerford to find out more about it. it's worth doing your homework. with statues of the gods. gardening and garden ornamentation got off to a much later start. to actually see what you're looking at. and of course arrow slits don't give you much of a view. and the Vatican in Rome. became a must-have in the gardens of the wealthy. completing their education on the Grand Tour of Europe. sweeping away the formality of those earlier years. was in and classical gods were out. and smaller flower gardens, which were back in fashion. that were now being made in factories. So, garden art began to be accessible to many more people. a specialist in garden art, to get a few tips. -Have you made any mistakes? that I realised I'd made the fatal error of not looking at the size. I was expecting them to be up to about here. Standard urn-on-a-plinth size, and they turned out to be much smaller. Is that them? You're joking? -They were in the photograph on the television. -So that is certainly one of my mistakes. Fashion in garden design has changed dramatically over the centuries. that people want at the moment or is it across the board? It's really down to the individual and down to the garden itself. maybe an 18th-century Portland stone sundial. -That's very nice, isn't it? For the 18th-century pieces, you're paying maybe 4,000 for that sundial. Yes, absolutely. It's a beautiful thing. -It's a timeless piece, as well. -You have to know what you're buying. Cos quite often there are a lot of forgeries on the market. This looks like a Coalbrookdale, fern with the blackberry bench. In fact, this is a fake that has come in from China. You can tell, because the castings are not... It's not very crisp. No, it's not that defined, is it? No and Coalbrookdale were renowned for their fine casting. And that behind you obviously is the real McCoy. This one is nasturtium pattern, Coalbrookdale, original, about 1860s. What would that set you back? A bench like this will set you back £3,500. A bench like this, £400-£500. If it was original, £1,500-£2,000. There really is something for everybody, isn't there? There really is. Any tips for the future? Where's it going? and a bit of history. That way, you will always do well. It's the same old thing, isn't it? Quality always sells. -Come on, let's get a cup of tea. the little man I met in the queue today! -I hope you're having a great day. of all the wonderful treasures we've found. Penny's pristine Dinky fire engine got Philip hot under the collar. and valued at £150 to £200. Phil loves this painting of the Pembrokeshire coast by Peggy Somerville. And lastly is Adrian's Royal Doulton mustard pot. Where do our antiques go? They end up at the local auction room. Today, we're at Martin & Pole in Wokingham. so let's make some money for our owners. First up, the mustard pot. Adrian, you certainly brought your mustard pot to the right place. Not only that, to the right expert. Ta-da! -Have you seen this particular...? -I haven't. But I thought it was a charming little piece. Hopefully, this is going all the way back to Norwich. I was going to try and say it with a sort of East Anglian accent. -Norwich. But I won't. Here we go. nicely decorated with Colman's Mustard. There it is. I have interest here. It starts with me at £30. Is there any advance on 30? 2 in the doorway. 5 here. 38. 40. 42. Takes me out at 42. £70. Are you all done at 70? -Superb. I'm pleased with that. You're flying the flag for home. -I sometimes feel like that when we're selling Troika and think, "Phew!" Well done. 'I knew that would be hot stuff. We've got a £500 fixed reserve, so thank goodness for that. It won't be given away for nothing. It's difficult to be objective when I actually love this picture. -You put a price on it and think, "Have I got carried away cos I like it?" As long as it puts a smile on your face, you think, "Yes, I want to invest in that." It isn't a painting we're very fond of and we just got carried away really with the idea of Flog It! -You had to bring something along! -Did you give the auctioneer some discretion on the reserve? -He phoned up the day before yesterday. -We've got a bit of discretion on the £500. better known to most as Peggy Somerville. Typical of her work, a view of the Pembrokeshire coast. Oil on canvas which is in turn mounted. I'd like to have seen a phone bid on the line there. He might have some commission bids. Let's see. 300 to start for it? 300 may I say? 200 if you like? I don't mind. At £200 for it, please? Is there no interest? I'll have to pass the lot. If you're all done, we'll move on. £200? I'm pleased about that for you. I'd have been disappointed about that because I think it's worth all of what we said. And if it made the top end of the estimate, that would be fantastic, but you may have been disappointed. -At least it goes home. -In that gap on the wall. -and you regretted it, didn't you? -It's got a happy ending. It's going home. -You've given it a day out on TV. Enjoy it, won't you? 'Well, there's a reason for everything and today just wasn't the day to sell that painting. We've had a few sticky moments, but this could brighten up the saleroom. It's a large collection of Beatrix Potter figures belonging to Julia. We have our expert, Elizabeth, but, unfortunately, Julia cannot be with us right now. -Hopefully, we'll get that top end of the estimate. -There is a lot here. but there are lots of collectors. They're international collectables, so I hope people pick up on them. Fingers crossed, we sell them. Here goes. -It has. The tension is rising. You could hear a pin drop. That's so unusual for an auction room. -Normally, it's an intense sort of pressure cooker. is a collection of 17 Beatrix Potter characters. There are some Beswick ones. I have interest here on the book. -There are several bidders, though. 90, thank you. And 5. 100. -Takes me out. 180. 190. £280 in the centre. At 280 if you're done...? -We can report back positively. It's on the telephone against you in the room, if you're all done...? £300 on the telephone, sold! That's what we like to hear on Flog It, when that hammer goes down. -I bet you are! There was a lot of lot there. Yeah, and they were all in good condition, so, yes, I'm pleased. £300 for 17 china animals. That works out at about £17.50 each. Later, we'll see more collectable creatures and they'll do even better than this lot. not just of the programme, but of the whole entire sale. It's a Dinky toy. It's a little fire engine and it belongs to Penny. Thank you so much for bringing this in. the condition is fabulous, I've got to say, well looked after. because I know my little boy would love this little fire engine. -You brought this along to the show. -And all the money's going back to the charity? -the charity doesn't seem to benefit, so hopefully this is a bit of payback. Scale model of a fire engine. Number 955. In good, original condition with the box. -Try 50 to start, please. 40 if you like. No interest at 40. 32, 35, 38, 40, 40. It's here at 55, if you're all done? 75, then, are you all done at 75? -Look, that was pretty good. That was pretty good. -Thank you for bringing such a lovely little thing in. A great result and I'm so glad the money is going to a good cause. One of our owners is going home with £400, £500, £600, £700 and more! Keep watching to find out who. so I've decided to take a closer look. but its very existence is down to one of our greatest generals - the Duke of Wellington. and twice British Prime Minister. and became not just a national hero, but the most famous man in Europe. but the biggest tribute was completed in 1859.
for the orphans of army officers. who was influenced by the work of Sir Christopher Wren. and Prince Albert was elected President of the Governors. The first 76 boys arrived on the 20th of January in 1859. 49 of them were army orphans, paying fees between £10 and £20 a year. The remaining 27 were sons of serving officers and civilians. Since then, the school has gone from strength to strength. Today, it's a thoroughly modern public school. -I'm here to meet former pupil Patrick Mileham. -You've written a history of the college. What age did you come here? How long ago was that? I came here about 52 years ago at the age of 13. Really? Lots of happy memories? Yes and no. Like all schools, there are ups and downs. They're pretty crazy places, but, by and large, I think I enjoyed school, looking back. Can you paint a picture of how the school would have been in its very early days? it had sprung up within three years on a particularly awful piece of land. So all of this was barren, was it? It was barren, sand, heath, gorse, the back of beyond. This must have looked like a beacon of hope. It's striking architecture. It was built to dominate because it was built in a heroic style. just rising up as it does starkly from the wilderness. and realise you were here for six months for your first term. They were taught by mainly clergymen in the traditional Victorian education system. But they had their fun too and they pretty quickly took to sports. Rugby was established very early. presided over by Charles Kingsley of Muscular Christianity. -A lot of early pupils would have gone into the army after their education? They were sons of soldiers and naturally, a lot of them went into the same profession. -Probably about 50% at the most. Surely, you must have special memories of the college. I asked people to write in with "defining moments" of their time at Wellington. -Things that have left a lasting impression? and I did rather well in that race. Up until then, I didn't think I was very good at anything. Suddenly, I discovered that perhaps I was. Has this shaped your life in any way? -Would Wellington be proud of what you've done since leaving here? is what the headmaster at the time called "the big match" mentality. whether it was the armed forces or whatever. So it was a college. It wasn't just a school where individuals went in and got educated. then you went out into the world to compete with the world and do whatever you had to do. And there are reminders of that ethos built into the very fabric of the college. This courtyard is at the centre of the old college. Through there is the main gate. That's where Queen Victoria would arrive by horse-drawn carriage. You could imagine the sense of urgency and importance as she comes through that arch. Up there is the college motto, "sons of heroes", very appropriate. Brave fathers gave their lives at the Crimean War and Indian Mutiny. Up there is Wellington's motto, "fortune favours the brave". There he is, the Iron Duke, looking down on us. 150 years ago, the college stood out in open countryside. Today, that landscape has matured. It's now surrounded by 400 acres of lush parkland. as a living memorial to one of our greatest heroes. who's turning on the charm as he makes some new friends. -How long have you had these? -Were they something you collected? No, I had a friend whose father was a toy importer. He used to go to Leipzig Fairs and he brought that little one back. When I had my first car, he gave it to me for good luck. -It was a Triumph Herald. -They were the very first car in the world. -If you read the Bible, it says, "Moses came down the hill in his Triumph(!)" -He was your St Christopher who looked after you. He's produced by the Schuco factory and he is called a little Piccolo Bear. I know not why he is called a Piccolo Bear, but he is a Piccolo Bear. -This little chap here is really interesting because he's got a surprise, hasn't he? -He's called a Janus Bear. Do you know why that is? A lot of these early Schuco bears, they weren't just bears. whether it be little glass vials or whatever. Their value has come down a little bit over the last 12 to 18 months, but they are very collectable. -You've had these for 50 years? They've served a life with you. I know, but it's time to pass them on, so someone else can enjoy them. -That one has been sitting on a big plant by his tail. -He just sat in a pot. -Did you think these were worth anything? Go on, say yes. You did really. Yes, I hope. I hoped somebody else would collect them. -What do you think they might be worth? -I'm going to make you put a £80 reserve on them. I don't think you should lose these lifelong friends for less than £80. they could make between £50 and £75 each. because otherwise, he's back in the car, he's back in the pot and he's back on the plant again! We're making friends everywhere we turn today. Here's Elizabeth Talbot and she's just met Mandy. -I understand that you work at the school here. I look after all the matrons and a lot of the cleaning staff. Three of us do it. -Yes, it's a lovely place to work. on the little box you brought here. I don't particularly like it, but I thought I would keep this back. "to see what actually it is used for." as being a little bit passe in terms of taste. so you did the right thing not to discard it at that stage. It's a late 19th century, possibly early 20th century box. It's intended to be a little jewellery box or trinket box. But it was made and sold originally to tourists. a souvenir, in this case of a visit to Paris. Intrinsically, the components are not very expensive. -It's a very base metal frame. And the outside of the frame is gilded. It's just stamped metal. which is possibly hand-tinted with watercolour to fill in the gaps. It's not all hand-painted. It's transferred, then coloured. so it's like a little buttoned, cushioned base there. -because it shows that it's the age that it is. It wasn't intended to be an expensive item. They never have become extremely valuable, but people will pay money for them, which is a good thing. -You're looking to sell it now? -Any idea what it might fetch? -It should do 20 to 25. -Do you require a reserve on it? -I think that's very sensible. -Thank you for bringing it in and thank you for the wonderful setting. to see inside this splendid venue. Philip has found something of equal beauty - Maureen's tea service. Do you know what, Maureen? We see loads and loads and loads of things on a Flog It! valuation day. -Why do you want to sell these? -I don't like cleaning them. -You don't like cleaning them? -So you haven't cleaned them? -Last night? So you cleaned them last night to bring them today? Erm...when did you last clean them? -Some months ago. They were a bit black last night. Years ago. That's good. I'm being deadly serious. -people always refer to patina as like furniture has got patina. But paintings can have patina and silver's got patina. that someone's got wire wool on and some acid or lemon juice. That's the worst thing, all the little creases. And that's got a lovely, warm glow to it. So these... Did you buy these? No, they've been in the family for a long time. What have you got? A tea set? -I thought perhaps a teapot and a coffee pot. A coffee pot spout comes from there. -A hot water jug spout comes from there. And this decoration here, when it's got that swirly bit on the side, that's called "writhen". I just think this is so beautiful. It's wonderfully well engraved. It's almost sort of French in style, but of course, it's not. And we've got a series of hallmarks on the bottom here. Let's just have a look. We've got the lion passant and then we've got Victoria's head. So that gives us a clue that it was made in the reign of Queen Victoria. and that crown tells us that this was assayed at the Sheffield Assay Office. Then we've got a date code letter which is a V and that's for 1878. So this was assayed in 1878. What were you hoping to get for it? I think you'll get £300 to £400 for 'em. -And I think we'll put a fixed reserve on it at £250. I think it's absolutely lovely. I would love to own it. -Just one last little thing - it's very small, isn't it? In this business we like to give things names. so you would have retired to your rooms and it really would have been tea for one. -I really love it and I don't like silver! There are so many interesting things coming out the woodwork here. We've had a marvellous time at Wellington College, but sadly, we have to leave. I hope we come back in a few years' time, but right now, we'll put the rest of the valuations to the test. You've probably made your minds up about what the items are worth, but let's see what the bidders think. We have Philip's new friends, three cuddly toys, belonging to Pam. Elizabeth has picked the trinket box, brought in by Mandy. A silver tea service, spotted by Philip. photographed, described and ready to sell. I asked him what he made of Maureen's tea service. -I bet when you saw this lot, it put a smile on your face. -My heart leapt, I love this lot. -If there was one I could take home with me, it would be that. -It does it for you? It's quality, quality, quality. It belongs to Maureen. She's selling them because she's fed up with cleaning them. Well, I can understand that, but what a joy to bring it back to its gleaming, pristine beauty! And I have taken it upon myself to up the estimate. OK, let me talk about that. Philip put £300 to £400 on this. But it was a considerable amount of time ago and silver is at an all-time high. The scrap value, the melt value has gone up a lot. -Yes, we have. The estimate is now 550 to 700. Without wishing to suggest it would ever be just melted down, but the maths support that sort of a figure. the vendor has wisely increased the reserve a tad. We like to look after all our vendors. We try to get them the most amount of money possible. -If all else fails, I'll buy 'em myself. -Good luck, anyway. I'm sure they'll fly out the room. Our next lot is that trio of stuffed toys. Fingers crossed, Pam. Your turn has arrived. -It's the first one I've left things at. -I have been to auctions, yes. I think you're going to be all right. We've got quality here. Schuco and Steiff, it doesn't get much better when you talk about metal toys. -The little panda was the lucky charm in the car. -So how do you drive now? -What's the lucky charm now? -I don't have one now. They're too precious to take in the car. -They never let us down. I'm not trying to big it up, but they don't let us down. -The auctioneer is on the rostrum, about to knock this one out. Good luck. a Schuco Janus bear and a Schuco Piccolo panda. Interest starts with me here at £65 against you. Is there any advance on 65? 70, thank you. And 5 here. Takes me out. At £90. -It's a good day to sell. 'A fair reward for Pam, parting from those characters after more than 50 years in their company. Good luck, Mandy. This is a dangerous game - no reserve. The trinket box has only got a value of £25 to £40, so it doesn't really matter. -I'd advise a reserve then. -It's a cracking little thing, a useful little box. Good luck. This pretty little French, gilt metal and glass-panelled trinket box. Picture of the Trocadero in Paris to the top. 15 if you like? 15 is bid with the lady. 18, sir. Thank you. 18. Against you... 20. 35 with the lady, my original bidder at 35. If you're all done...? £40, hammer's gone down. Mandy, it's gone. Top end of the estimate. -That was lovely. Thank you. 'Well done, Elizabeth - a precise valuation. 'One more sale to go, the one we've been waiting for. because Philip put a value of £300 to £400 on this silver. in the last three and a half months. -You've almost doubled your money. There is a new revised estimate of £550 to £700 now. I had a chat to the auctioneer. Yes, you know what he said. He absolutely loved it. He said if no-one's bidding on them, he's buying them, so they're definitely sold. I think this is of such good quality that this won't get melted. It's the underlying... It's the belt and braces for every other price. -It's what people base the price on. -It'd be nice to think somebody will appreciate them. -It's lovely quality. You needn't worry. -This will grace someone's home or collection. It's gone quiet again because it's our turn. embossed and spiral fluted bodies, ivory handles. I can start the bidding here at £450 against you. 680. Takes me out. £680. Is there any further at 680? £750. There we are, on the aisle at 750, if you're done...? Spot on the top end of that new estimate! -It was worth the wait. "hopefully, it'll go up and up and up," it might level out and then drop. Great time to be selling, though. That's it. It's all over. We found out today exactly what it's worth. We've put those valuations to the test and we've sent quite a few people home very happy. Some things flew out, some things struggled. That's life in the auction room! Join me soon in another one somewhere else in the UK, but for now, from Wokingham, it's bye-bye. Paul Martin is joined by experts Elizabeth Talbot and Philip Serrell at historic Wellington College in Berkshire. Hundreds of members of the public turn up to have their unwanted antiques valued. Elizabeth finds a collection of 17 Beatrix Potter animals, while Philip likes the look of a silver tea set which ends up surprising everyone at the auction. Paul looks into the history of the college, which was built as a tribute to one of Britain's greatest generals.